Specials from vendors to registered board members. Please let them know you are a member of the board when you are placing the order! Wow what an unbelievable year, We have received more engines this year than ever before. And we want to tell each and everyone of you thank you, Thank you for making Blossom Racing what it is today, We could not do any of this without you. This means late nights and weekends in the shop, We will get them done and back to you on time. 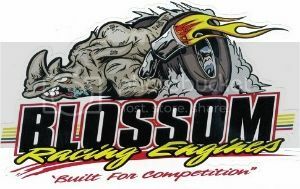 Happy New Year from Blossom Racing.